A crisp clean look for your Rustic Farmhouse Kitchen Decor. 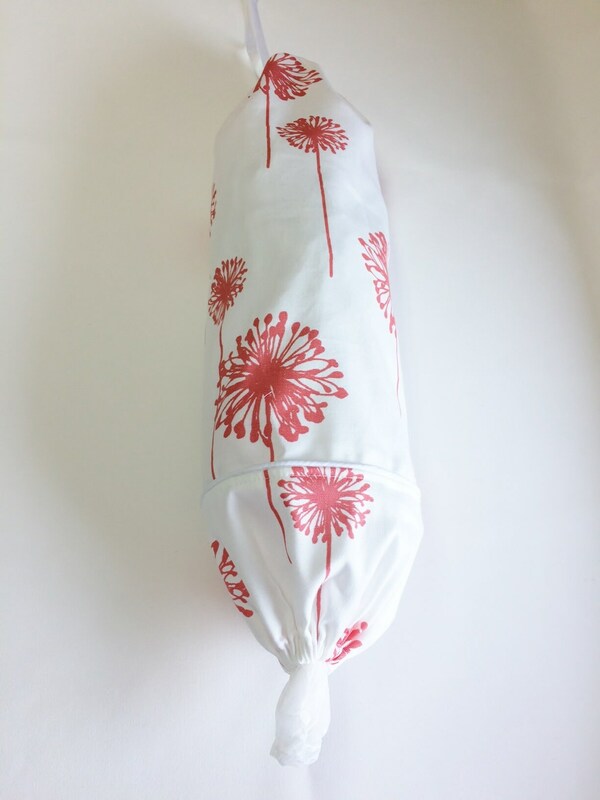 This grocery bag holder features Dandelions in a beautiful coral color on a white background. These are extra roomy and will help you keep your kitchen neat and tidy with this convenient grocery bag dispenser. Created with a designer fabric, each bag holds 35+ plastic bags. 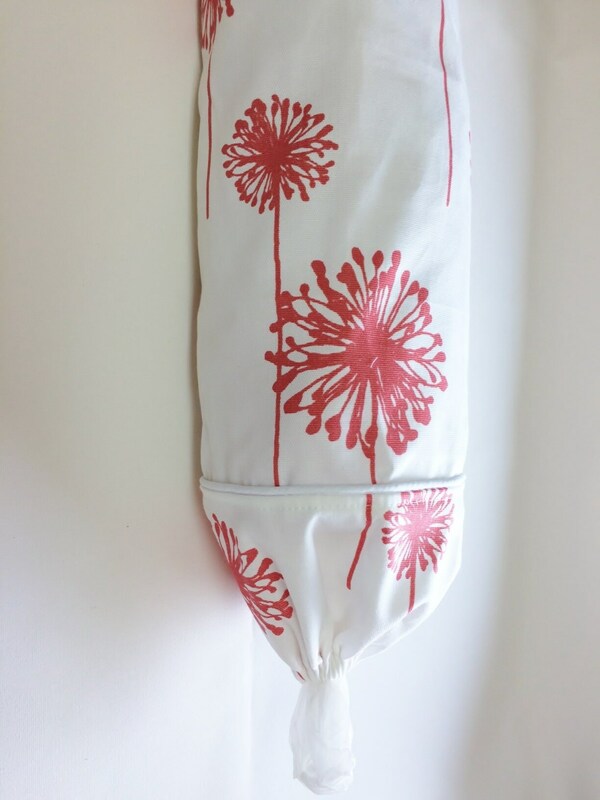 Your kitchen bag storage just got easier with this roomy bag holder, measuring approximately 22" inches long. 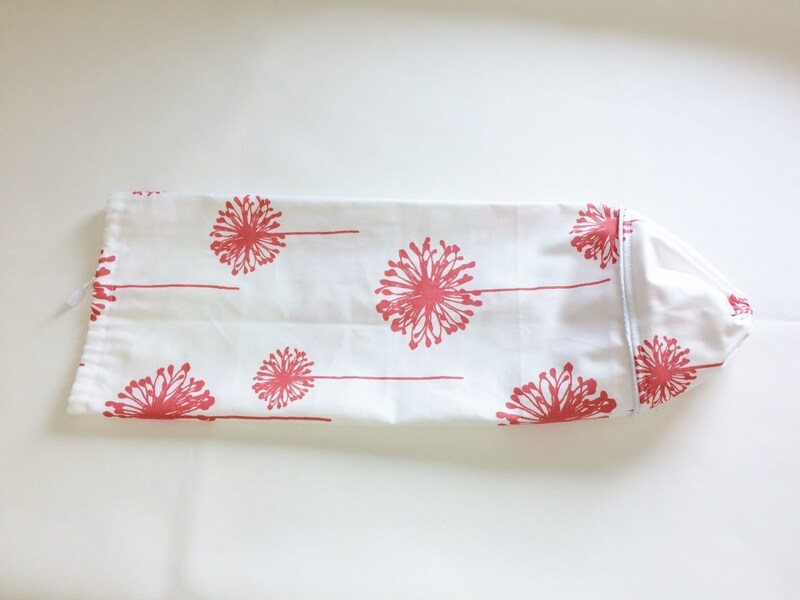 The designer fabric features a printed design, piping accent, elastic bottom opening for retrieving bags and a ribbon for closing and then hanging up your holder. Your new plastic bag holder will help keep all those plastic bags in one convenient location. These make wonderful housewarming gifts for friends and new neighbors. Once your order is received, it will ship the next business day. We will provide you with tracking information, allowing you to track your order right to your home. 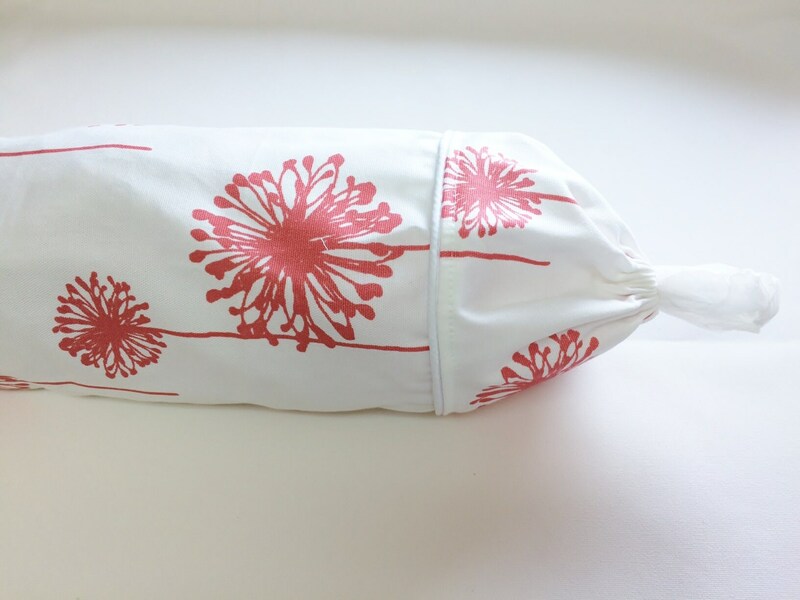 Whether you are looking to organize all your plastic bags into one convenient location or need a special housewarming gift, you will be very happy with this plastic bag holder. Place your order now and it will ship the next business day.